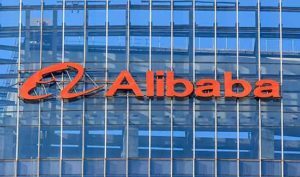 After the Trump administration threatened to impose tariffs on Chinese goods, Alibaba Group Holding Ltd.'s (NYSE: BABA) stock fell over 18% between January and May 2018. With the White House targeting Chinese companies, many investors are wondering if Alibaba stock is still worth owning. The truth is that Washington's red tape can't outweigh the outstanding potential for growth that undergirds Alibaba stock. In fact, we expect investors in Alibaba stock to continue benefiting from soaring revenue and earnings. As the company's May earnings report showed, Alibaba's profit potential has grown exponentially over the last year. Earnings increased 44.4% year over year, while revenue increased 61% to $9.87 billion. Money Morning Executive Editor Bill Patalon thinks this is just the beginning, too. According to Bill, Alibaba is "one of those rare companies that is so well-positioned, and that has such a great management team, and that has the benefit of serendipitous timing with a powerful, transformational trend" that even Washington's fear mongering can't stop it. Today's trade war is nothing compared to China's future growth. According to Forbes, China has more than 500 million middle-class consumers – twice the population of the entire United States. Analysts estimate that this number will balloon to well over 600 million by 2022. Thanks to this population growth, China's retail sector has become a powerhouse worth $6 trillion per year. That's a 900% increase from 2000 and a 400% climb just from 2010. Not only is the Chinese middle class doing tremendously more shopping than it once did, it's doing more of its shopping online. For the last quarter of 2017, online sales jumped more than 35% in China. In fact, analysts forecast that China will be responsible for 60% of all e-commerce by 2020. Last year, Chinese shoppers spent more than $1 trillion online for the first time ever. For context, the United States spent $455 billion – less than half of China. Alibaba's businesses run the gamut from streaming devices to medicine. BABA has a thriving medical device business. With healthcare spending in China projected to grow from $350 billion to $1 trillion in 2020, the company is sure to profit off of the sector's growth. Alibaba is also expanding into new media platforms. In 2015, BABA bought Youku Tudou Inc., a company frequently referred to as China's YouTube. The company intends to capitalize on China's robust online video sector – an industry that's expected to double in just the next year. In addition, Alibaba is taking advantage of China's expansion into cloud computing. In 2015, BABA's cloud computing sales hit $298 million. A year later, it was up more than 126%, to $675 billion. Bloomberg Technology reports that BABA supplies cloud computing services to over half a million customers. In short, Alibaba is sufficiently diversified to weather any international trade complications that Washington can throw at it. As Bill puts it, "these issues are really just 'speed bumps' when viewed from the context of a stock that will create generational wealth in the decades to come." This company is simply too dominant in a massive – and growing – e-commerce market.